On February 16, 2016, the Centre for Scottish and Celtic Studies welcomed Alasdair MacDonald (Groningen and Glasgow) to discuss ‘George Lauder: early modern Scottish poet and soldier.’ Below is this listener’s brief summary of the lecture. Professor Alasdair MacDonald began by stating that George Lauder was an early modern Scottish poet who lived from 1603 to 1670. 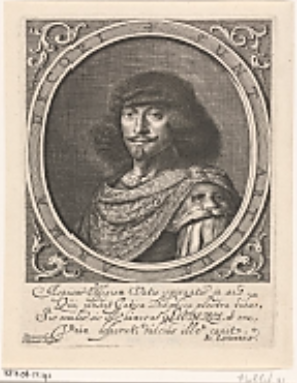 He was probably born in Haltoun, Lothian, graduated from Edinburgh in 1620 and, after briefly living in London and Paris, joined the army in 1625. This career took him to Germany, Denmark, Sweden, and finally the Netherlands. He eventually moved to Breda and lived there for most of the rest of his life. Likely due to his mobile military lifestyle, his letters and the 6500 lines of poetry that Alasdair has collected so far were written in a variety of languages, including Dutch, French, Italian, and Latin, in addition to English. This poet and soldier is not well-known today, despite his contributions to the literature of early modern Scotland. George Lauder had connections with people of note from various contexts, including the House of Orange, many Scotsmen who were visiting or based in the Netherlands, and members of the Scotto-Britains. The Scotto-Britains were a group of poets who, in the 17th century, wrote in English and they did their best to keep it free of Scottish-isms. This group included people such as William Drummond of Hawthornden. However, Lauder differed slightly from his associates in that he still occasionally wrote poetry as commentary on the politics of Scotland in a patriotic fashion. Lauder’s poetry went through three separate phases. The first phase included his apprenticeships, which consisted of the creation of translations and imitations of neo-Latin anti-Papal satires. His work during this period made a great contribution by translating the Latin into the Scottish vernacular English so that these learned jokes could reach a wider audience. Lauder’s second phase contained his most well known poems, which focused on the grandeur of life in the army, commemorations of distinguished soldiers, comments on politics, and those addressed to various associates. His third and final phase led to the creation of his longest compositions which focus on the politics of the Restoration and the Life of Christ. Alasdair provided us with examples of each through several excerpts from Lauder’s works. Alasdair explained that we have a general idea of who influenced Lauder’s poetry because we have a list of his collection of 1030 books, which was sold at auction after his death. Five-hundred two books were written in Latin, 286 in French, and 242 in English. Many of the books, while they were based on a religious theme, had a moral focus as opposed to a theological one. One of his other main interests was historiography from a range of time periods and looking at both Britain and the Continent. He read many vernacular poets, although these were mainly English, French and Italian poets, not Scottish ones. Scotto-British poets have been heavily criticized and denounced for abandoning the use of the Scots language, especially by literary critics in the 20th century. The 17th century has been considered a “gaping hole” in the history of Scottish literature, even though there is a great deal of Scottish literature during this period, just written in neo-Latin and English. Although Lauder was a Loyalist, he was also a Presbyterian, so he was far from a cultural traitor during that period. His career as a soldier makes him a unique case for study. Although Lauder was admittedly not a great poet, Alasdair argued that it is high time for Scottish Literature should become more inclusive to give Lauder the place that he deserves. Our seminar series continues on 23 February 2016 with Alexandra Bergholm (Helsinki) to discuss ‘Lament for the Dead in Early Irish Tradition: A Gendered Genre?’ This will be held in Room 202, 3 University Gardens at 5.30pm.